If you have staircases within your home, then you know that there are lots of options for how you can cover them. Depending on your style, budget, and personal preferences, you may choose to cover your stairs in carpet, tile, stain, paint, or a combination of several other options. If you have decided to paint them, then you probably have some decisions to complete. One thing that should be decided on, is what color to paint the stairs. The variety of choices for painted staircases is limitless. Floor paints are available in a huge variety of colors. Many homeowners have different colors of paint on the stair risers versus the stair treads. Some people paint patterns or designs throughout the ascending stairs, in order to add individual style and interests. When you are deciding how to have your stairs painted, or what color to choose, then you may wish to consult a painting professional for ideas, or do some research of ideas in paint project guides/magazines, or online research. You will find many attractive staircase ideas that are available to you, and from there, you can decide how much time, energy, and money you have available to spend on your staircase project. One thing to know about a painted staircase project, is that this is a project that can definitely make a world of difference between a functional set of stairs and a functional set of stairs with a lot of flair and beauty. A staircase is often overlooked when it comes to updating the interior of a home; however, if your staircase is in a central location of your home, then updating them, or changing their color, can provide an amazing affect. Although a staircase paint project can seem overwhelming and time-consuming, most homeowners are surprised at how beautiful the end results can be, without too much effort. 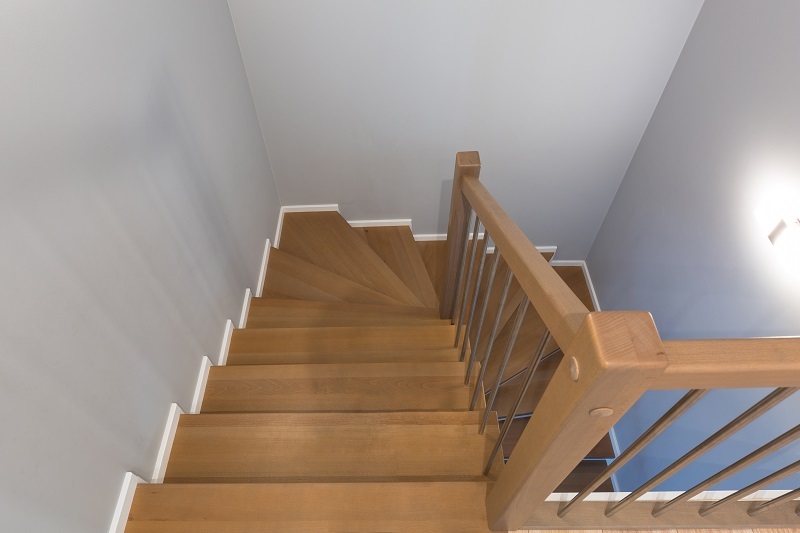 If you are considering updating or repainting your home’s staircase(s), then complete a little research and get some ideas on all of the wonderful options available to you today.